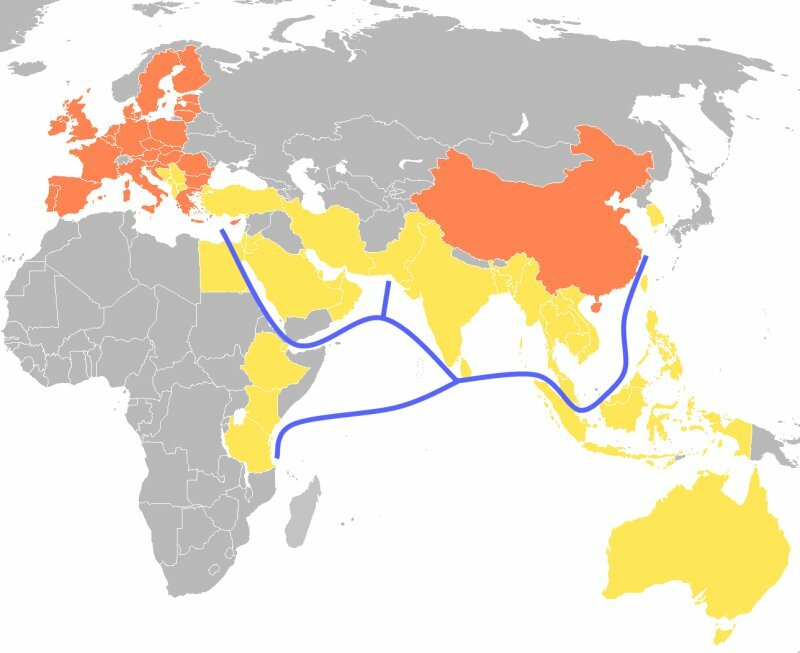 The new maritime Silk Road (One Road) is the second element of the OBOR initiative. The “One Road” aims to intensify maritime trade between Chinese ports and Europe. This project involves cooperation agreements and investments in Southeast Asia, the Indian Ocean, the Arabic peninsula, the Mediterranean Sea and the East African coastline. The investments made by the Chinese company COSCO at the Greek port of Piraeus illustrate the Chinese strategy to revive a new Silk sea route. The new maritime Silk Road aims at modernizing infrastructures and simplifying trade formalities to intensify and accelerate exchanges along this route.